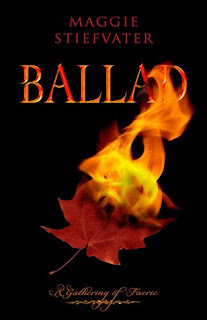 Wastepaper Prose : BALLAD Winners!!! Like I said, there was a great turnout for this one. A total of 94 people submitted 658 entries. Whoa! I'm just thankful I only had to tally entries and create a word document with a line for each person. Contest Winner Picker did the rest. 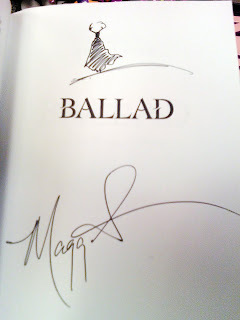 Jeni, you are the winner of a signed, doodled copy of BALLAD by Maggie Stiefvater! 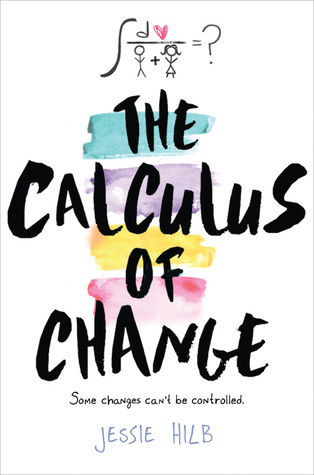 And Victoria, you are the winner of the second book... 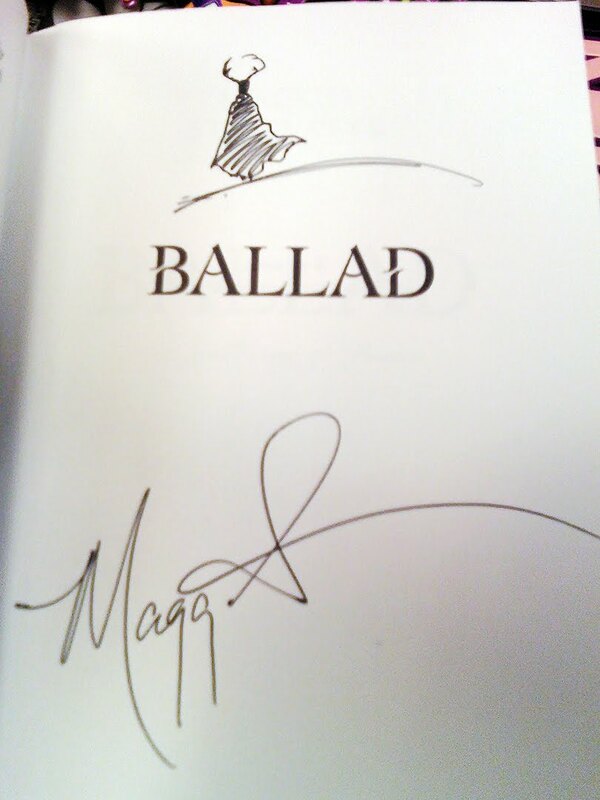 Which is another signed copy of BALLAD! Congratulations ladies! Victoria, I have e-mailed you. Jeni, unfortunately you didn't leave an e-mail address, so I couldn't send you a note. Both of you have 48 hours to respond with you mailing address, and I will get your winning out to you very soon. Too cool! Thank you so much!